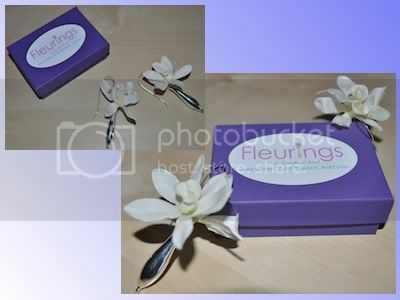 Fleurings is one of our Fall Fashionista event sponsors and it brings natural beauty into our everyday accessories. Check out our review here first. Want it? Shop Fleurings. Classic Silver Polished Earrings retail for $76. Samantha has been generous enough to offer 1 Whirlwind of Surprises' reader their own pair of Classic Silver Polished Earrings (MRSP $76). Open WORLDWIDE, 18+. Good luck! Done with entering this giveaway? Please take the time to check out Prize Pack 1 and our other active giveaways. Disclaimer: The product/s mentioned above is sponsored by Fleurings for the purposes of this giveaway. No other form of compensation was received. Opinions expressed belong to Whirlwind of Surprises and are NOT influenced in any way. Please view my full disclosure. Oh, would love to stick my husband and my dogs :-) But it's a lot of work every day so everything is sheduled. i love lilys, so i would put a lily in it. I would put hot pink gerbera daisies in them! CUTE! with a little black dress and pink shoes! my fave flowers are lavender or peonys. Love to put a miniature orchid in this. I am a violet girl. I used to wear violets in my hair and now in my earrings. Definitely, I'd have to put a lily in these earrings. Stargazers are gorgeous, but there are so many different kinds of lilies I love that I'd have to know what's available to choose for sure! I would like to put an orchid in them. I would put mini roses in them. We have tiny, beautiful white oleanders in our backyard. They'd be stunning. I think they would be cool with daises, or mini roses. I would use orchids. Thanks for the great giveaways! Very creative. Would like to use yellow rose. so pretty. thanks for the giveaway, too. I would love a daisy.